There are very few greater “what if’s” in Super Bowl history than “what if the Miami Dolphins weren’t stupid enough to not sign Drew Brees in the 2006 offseason.” Obviously, Miami’s failure became New Orleans’ fortune, as Brees came to the Big Easy and, paired with Sean Payton, became the most prolific passer in NFL history, breaking the record for most passing yards in the history of the NFL in 2018. Brees’ run of 12-straight seasons with more than 4,000 yards passing, including five seasons with more than 5,000 yards passing, is beyond staggering. The minute Brees decides to retire from the NFL, you can basically set your clock to five years from that day, because that’s when he’ll become eligible to be enshrined in the Pro Football Hall of Fame (and he’s going to be a no-brainer first-ballot induction). It’s amazing that Heath Shuler actually went to another team and, despite having more NFL experience under his belt, actually got worse. 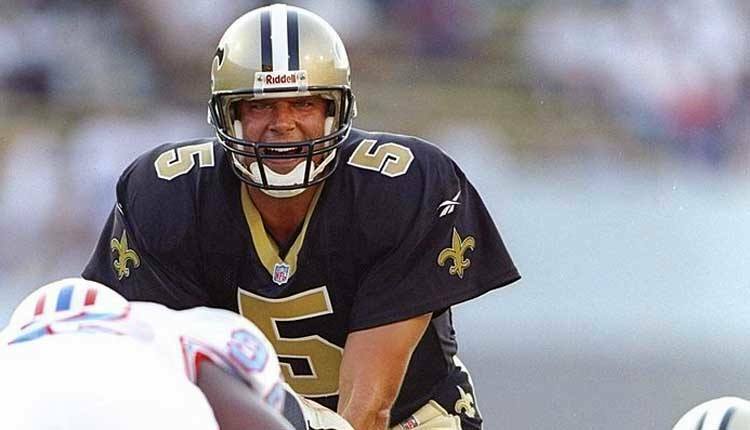 After flaming out as starting quarterback of the Washington Redskins (who originally drafted him in 1994), Shuler tried to salvage his career in New Orleans, when the team brought in Mike Ditka.